No Jewelry. No Beauty. No Consumables. 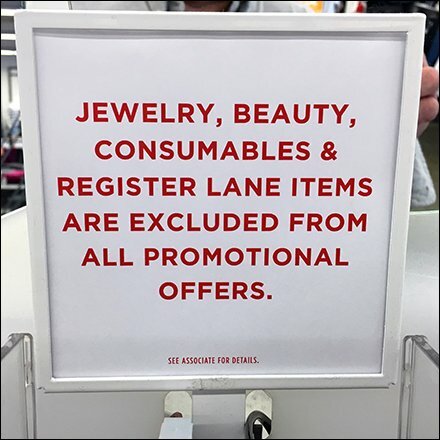 All “Best Stuff Excluded” is excluded from any and all promotional offers. Tough sh_t!. Questions? The footnote tells you “See Associate for Details.” Complaints? No recourse is offered. See you Congressman. Are these sunglasses covered? Again, you’ll have to ask.